The Tool Crib – The 18 Gauge Brad Nailer Showdown: PC vs. HF vs. Bostich vs. Senco and MORE! The 18 Gauge Brad Nailer Showdown: PC vs. HF vs. Bostich vs. Senco and MORE! The 18 gauge brad nailer is one of the most popular nailer sizes for woodworkers… mainly because using one means that YOU HAVE ENOUGH CLAMPS AFTER ALL ;) It’s also widely used as the goto for putting up trim. Since just about every manufacturer under the sun makes one I researched to bring you the consensus of the woodworker on the street. Enjoy! The Brad Nailer Stigma: is it Cheating? 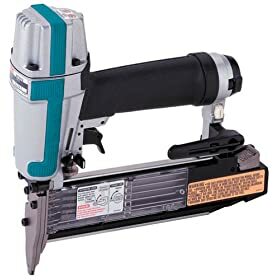 I copied this list from an article in Wood Magazine – for me it helped to outline the main uses of a brad nailer as opposed to, say, a framing nailer for example. 1) Free up clamps in short order. Apply the glue and clamp the assembly, punch in a few brads to secure the joint, and reclaim your clamps immediately for the next glue-up. 2) Speedy, glueless assembly. You can assemble birdhouses and craft items in no time flat. Cabinet backs go on in a flash. 3) No-stick stack-cutting. Instead of using double-faced tape to hold together workpieces for stack-cutting on a bandsaw or scrollsaw, tack them together with brads fired into the waste area. 4) Reinforce mitered joints. End-grain to end-grain joints, such as the mitered corners of a picture frame, are stronger when fortified by a steel fastener. 5) Less splitting. A brad’s small diameter and speed of penetration lessens the likelihood of splitting–even in small moldings and fragile workpieces–without predrilling. I never knew this until I started researching brad nailers, but apparently some folks think that Norm Abram is a little over reliant on his brad nailer. Further, that if you’re using a brad nailer you’re, well, you’re cheating. This is a minority position, but apparently it’s a vocal minority. Anyways, here’s a funny brad nailer poll from Sawmill Creek, followed by a great quote regarding the morality of the brad nailer. Don’t use them. As an overall category they received very poor reviews and comments in a couple different threads I visited. 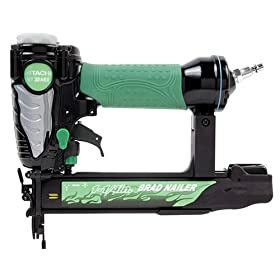 Namely this one at Sawmill Creek: Electric Brad Nailers – Any good? 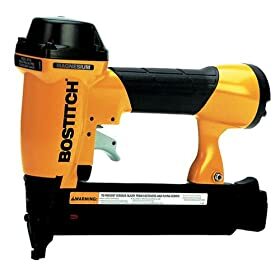 That said, I found one professional at Lumber Jocks raving about the $300+ Dewalt 18 Gauge 2″ Cordless Brad Nailer – DC608K: “I officially will be retiring my air compressor when installing in the field.” Your mileage may vary when it comes to electric brad nailers. Here’s the show down itself – I counted recommendations from forums and one magazine review I found to compile this list. I haven’t tested or used any of these tools myself. To check out my sources scroll down to the “sources” section. 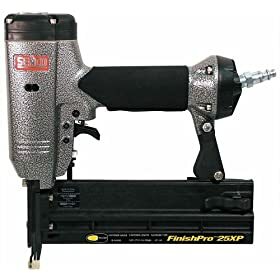 Note: t here’s more than one HF 18 Gauge nailer – most folks in forums aren’t specific about which one they liked. HF nailers consistently come up though, with folks saying they work “good enough” for light use. New DeWalt 18 volt, 18 gauge brad nailer Review in LumberJocks. What gauge nailer do I need? Need pin/nail nailer…. which one to get? 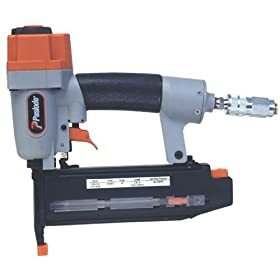 Electric Brad Nailers – Any good? 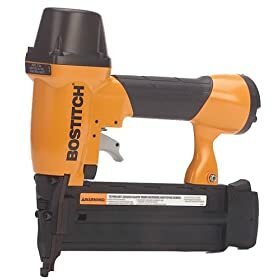 Hitachi or Porter cable Brad nailer? Which nailers for trim work? Dream Table Saws: What TS Would You Get With Unlimited Budget? I use my DeWalt ‘electric’ gun exclusively when setting finish. I have done at least 20 houses since I purchased the nailer and have finally the batteries are showing signs of needing replaced. It is great not having to lug around or listen to a compressor on the jobsite! Another FINE Italian made line of Brad tools comes from Fasco America, Inc. Several models with various power levels for every type of trim nailing requirement.